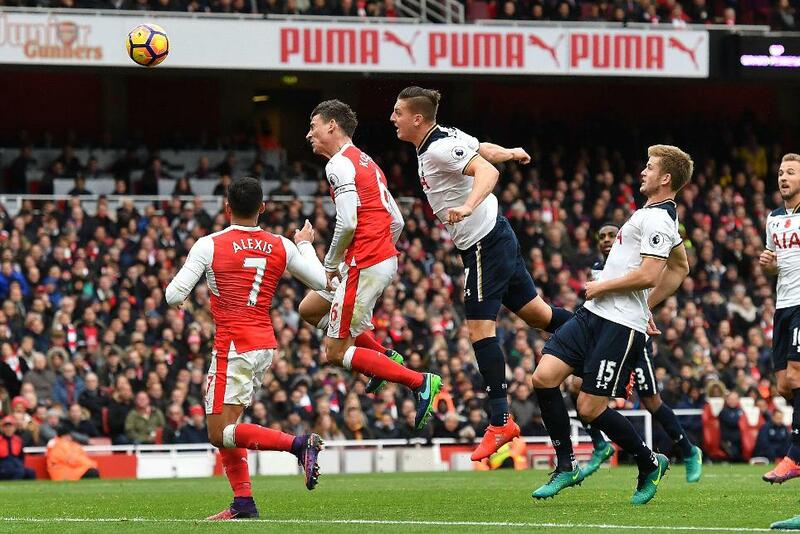 Arsenal's goal against Tottenham Hotspur on Sunday generated debate as to whether it should have stood because of Arsenal players being in an offside position. The Professional Game Match Officials Limited (PGMOL) has explained why Kevin Wimmer’s own goal was allowed to stand. The clarification regarding the offside situation is based on consistent application of the principles that were introduced following the IFAB change in wording to the offside rule at the start of the 2015/16 season. Both Alexis Sanchez and Shkodran Mustafi are in an offside position when the free-kick is taken, but they do not impact on Wimmer's ability to play the ball. Wimmer is not impacted by either Arsenal player in an offside position. Wimmer does not need to delay his action to wait and see if the attacking player in an offside position touches/plays the ball. Equally, Wimmer’s movement or ball-playing options are not clearly restricted by the physical movement and/or actions of any Arsenal player in an offside position. Also, Laurent Koscielny is in an onside position, so there is no issue there.